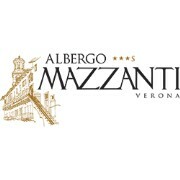 Albergo Mazzanti, an ancient building in Verona’s historical center, offers to its Guests a charming and elegant accommodation, enjoying a privileged location just few steps away from Piazza Erbe and Piazza dei Signori. The hotel offers 16 elegantly furnished rooms, a delicious breakfast buffet and a warm welcome that will make Albergo Mazzanti your home away from home. We are pleased to welcome you soon!